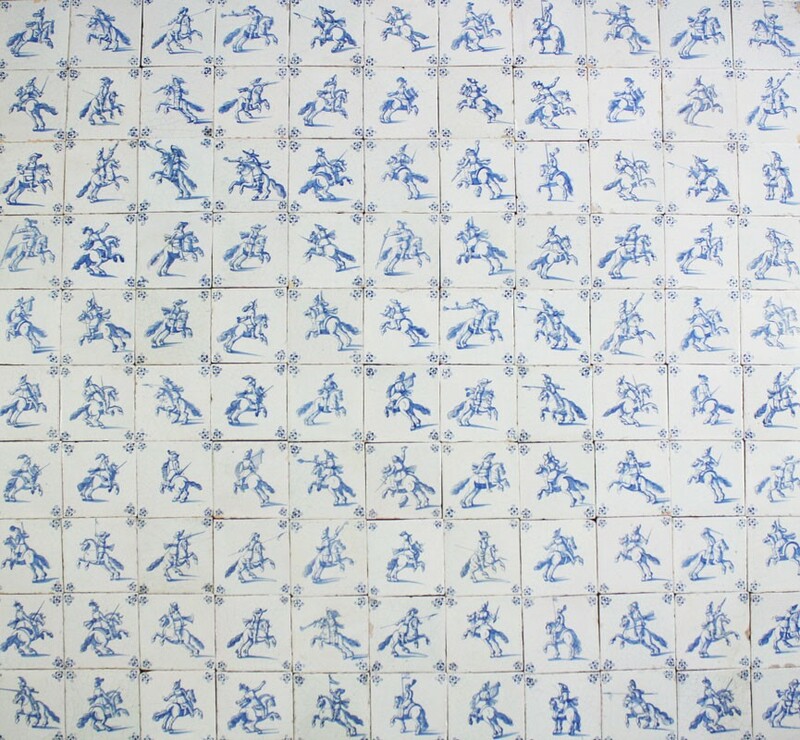 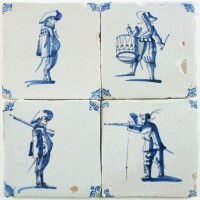 These extraordinary original antique Dutch Delft wall tiles dates from the 17th century (c. 1650 - 1660). 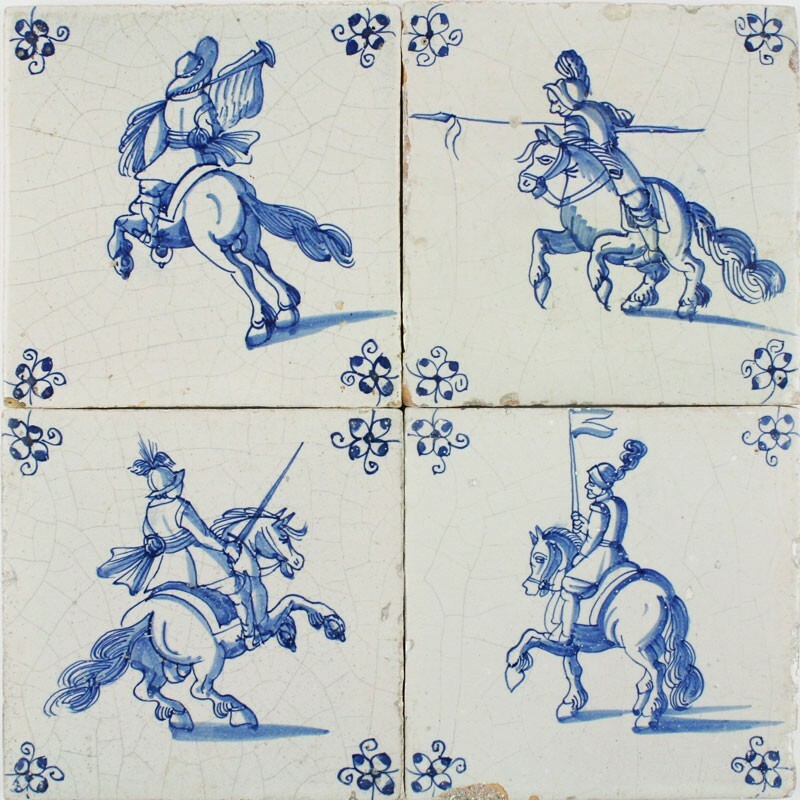 They depict many horseriders in the heat of the battle; wielding swords, firing a pistol, blowing a military horn or holding a flag. 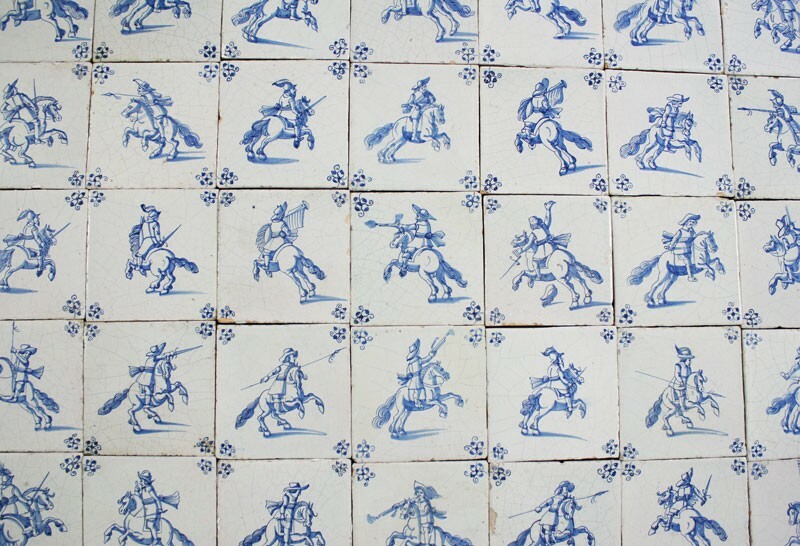 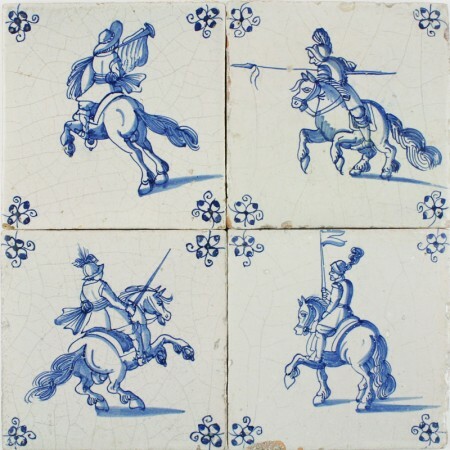 Each tiles is decorated with 'spider' corner motifs and shows the horse in a prancing position. 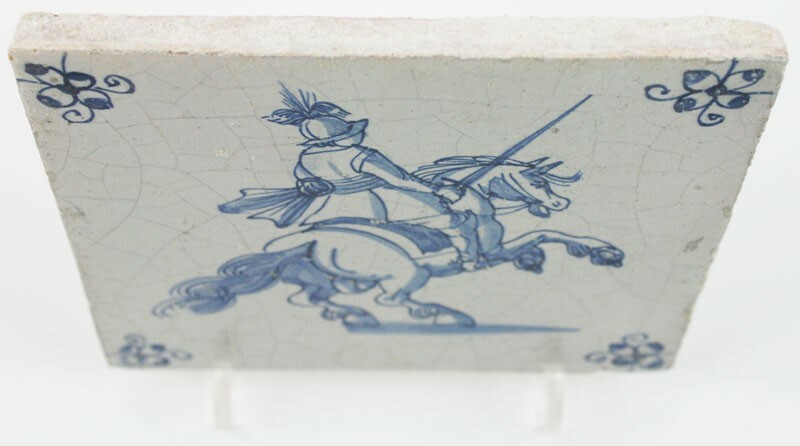 Great to use for restoration or interior design projects, such as a hallway or fireplace. 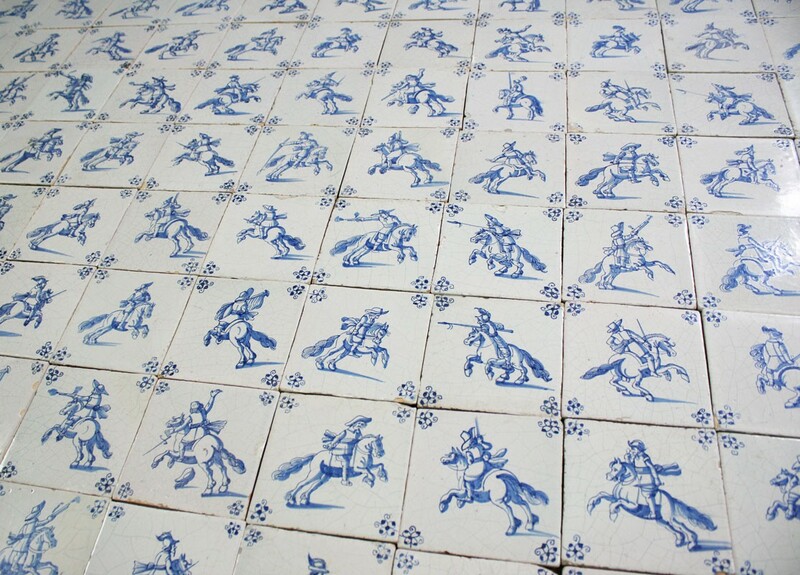 Feel free to contact us for more information and the number of tiles available.